Providing interactive, realistic, and immersive experience is something that drives us at Outsource2india. Helping you get the feel of what you conceptualize, we enable easy mouse movement walkthroughs for diverse augmented reality (AR) and virtual reality (VR) projects. Our CAD renderings bring in the latest and niche technological advancements in visualization to create a virtual and photo-realistic feel with life-like landscapes, trees, people, animals (with moving shadows), and panoramic horizons. Our clientele includes Fortune 1000 companies that use our 3D Architectural walkthroughs for real estate, furniture modeling, game development, etc. O2I employs imagination enablers to provide you detailed 3D walkthroughs of architectural 3D models in the right proportion and scale, along with life-like textures, materials, colors, and finishes. Outsource2india's detailed 3D walkthroughs can help you visualize your ideas or concepts with different perspectives, enabling you to easily incorporate additions and deletions to your design at the conceptual stage itself. Our interactive 3D walkthrough animations help you take your customers on a virtual tour of architectural projects. Our 3D animators are experts in developing 3D interactive walkthrough animations for a wide range of requirements, such as high-rise buildings, IT parks, apartments/ condos, resorts, shopping malls, airports, churches, amusement parks, schools, villas, hotels, and special economic zones, among others, etc. Our team has in-depth experience in animating futuristic interiors and concepts. With one of our 3D architectural animations, you can accurately view and showcase visual representation of complex engineering concepts. We also create 3D flyovers to depict the function and design of bridges, ships, aircraft, dams, and other structures. Real Estate Projects - We provide 3D walkthroughs for a wide range of real estate projects including designs for villas, bungalows, airports, corporate, hospitals, education, hotels, commercial & residential properties, malls & multiplexes, sports, religious, township, offices space, etc. We also animate different aspects of a building project, such as the lifts, escalators, or other moving objects. We also incorporate product-specific information into the multimedia animation. Industrial Walkthroughs - We develop a 3D flythrough that will give you a realistic feel of an industrial plant or building complex including specific processes. 3D Virtual Art Galleries - We help you with the 3D virtual art gallery to showcase art to clients across the globe for higher appeal. Furniture Animation - We provide high-quality 3D Architectural Walkthrough services for your workspace furniture covering it from all possible angles. Our holistic approach to interior office design combined with state-of-the-art 3D walkthrough provides your office furniture (chairs, desks, tables, storage cabinets, drawers, workstations, display boards etc.) the best possible appeal. Game Development and Animation - We also provide highly sought-after animation and designing services to meet game development related AR/VR requirements. We specialize in providing low poly or high poly models as per your requirement to aide any complex game animation. Interiors - By using multimedia 3D animation, we virtually display the interiors of a building by artificially introducing exterior lighting depending on the orientation of windows, seasonal changes, diurnal variations, and the local latitude. We also animate virtual interior lightings such as light from each fixture, self-illumination of indoor objects, and the reflection of light within the room. Exteriors - We begin the 3D walkthrough with structural animation of the building along with the materials that would be used for construction. 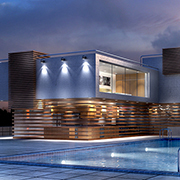 The 3D architectural animation also includes depictions of the external environment, such as the landscape, trees, fences, hedges, roads, and the surrounding neighborhood. With the help of our advanced infrastructure and technology, we create high-quality 3D walkthroughs while shortening the product life cycle. Why Choose O2I for 3D Walkthroughs? We employ the very best in technology, software, and presentation techniques to create 3D architectural animations that can be easily viewed on your mobile phone, iPod, PDA, TV, or PC. Advanced 3D Animation Software - Our designers can bring your 3D walkthroughs to life-with the right color, light, and movement by employing pro applications such as AutoCAD, Maya, Maxon, and 3DMax. We are also adept at using custom-built software as per our client requirements. Versatile Team - Our 3D Walkthrough development team includes experienced engineers, graphic designers, technical analysts, and data entry experts who combine their skills and talents to develop impressive virtual room designs, 3D flyovers, or 3D walkthroughs within a short schedule. Competent Infrastructure, Technology, and Security - Our infrastructure includes advanced Mac and Windows PCs, high-resolution monitors, and other important tools that help our employees to deliver on their promises. To ensure data security and faster upload and download of files, we use VPN (Virtual Private Network), and FTP (File Transfer Protocol). Domain Experience - For over two decades, we have helped many developers, architects, and realtors with architectural services such as 3D architectural rendering, 3D modeling, and 3D visualization at an affordable cost. See a preview of your architectural project in the virtual world with our detailed 3D Architectural Walkthroughs. Outsource2india is a 19-year-old ISO certified global service provider with a track record of matching client satisfaction with every single project. We provide cost-effective 3D walkthrough and visualization services with maximum accuracy from our global delivery centers or as an extension of client's team. With a team of skilled renderers, developers, modeling experts we deliver leading architectural services such as building information modeling, point cloud services, 3D furniture modeling, and more. If you are looking for a world-class provider of 3D architectural walkthrough services in India, look no further. Get in touch with us today and explore the widest range of engineering services your business will need.